This fashionable tote is laminated to provide maximum durability. 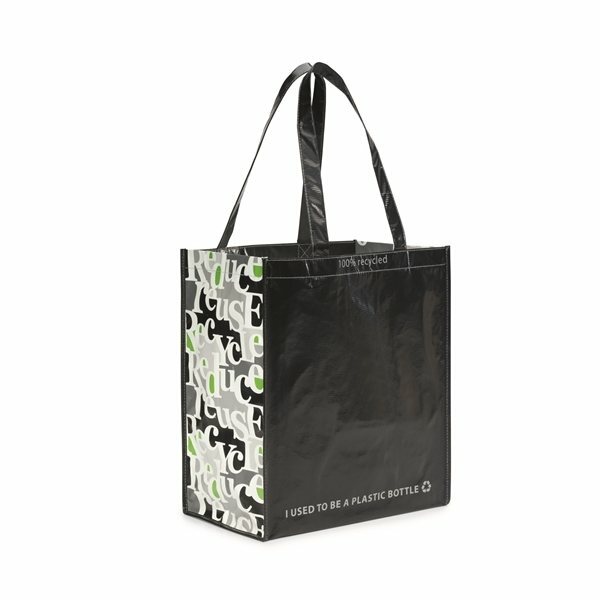 Reusable shopping bag is perfect for all your grocery essentials. Large main compartment and generous gusset for maximum capacity. This product is made from 100% PET recycled fabric. This product was made from three recycled plastic bottles. Materials: Laminated 100% Recycled PET Fabric. It had been done just as I pictured. I was totally satisfied. They're very nice, everyone like them. I like the price most of all. It looks very professional. the product itself is perfect for our upcoming event.